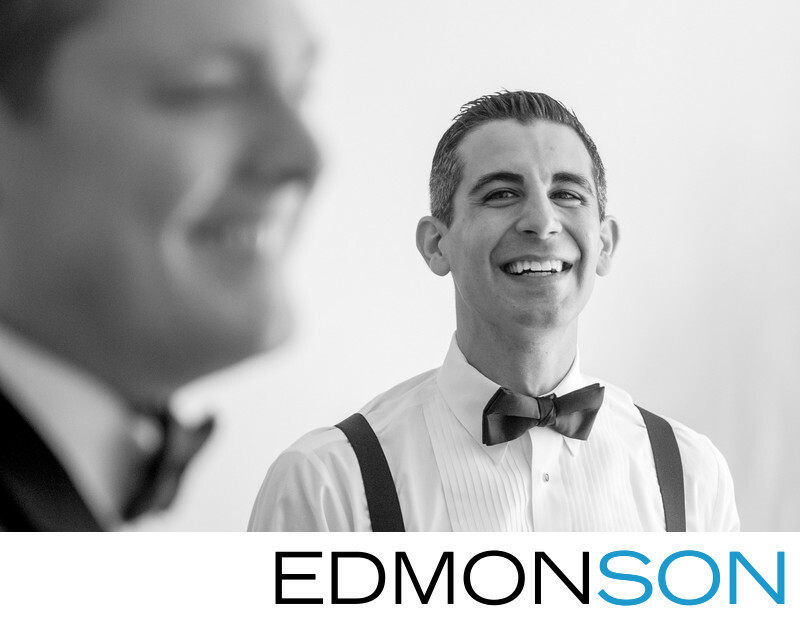 A groomsman jokes with the Groom while getting ready at the Crescent Hotel in Dallas, TX. Experienced wedding photographers mix in wedding photojournalism along with portraits to tell your love story. The black and white format creates a compelling presentation for this wedding photo. 1/200; f/3.5; ISO 640; 70.0 mm.